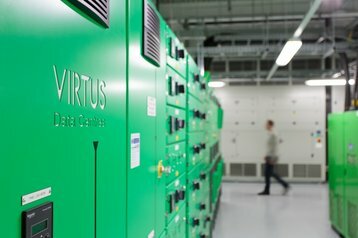 Virtus is the third largest colocation provider in the UK. The company is focused exclusively on the London market, with three existing locations in close proximity to the capital. This week, Virtus revealed it will be spending a total of £500 million to expand its properties and add another 76MW of power capacity. Three of the new data centers – including previously announced London3, as well as London9 and London10 - will be located in Slough, technically just outside London, and the unofficial data center capital of the UK. Another two facilities, London6 and London7, will be located on the Stockley Park campus, alongside the existing London5, making it the country’s single largest colocation site. At the same time, Virtus will continue expansion of its data center locations in the suburbs of Slough, Hayes and Enfield. Once all of the announced work is complete, the company will double its portfolio size to 145MW. Virtus says all of the upcoming facilities will feature ‘living exterior walls’ and support power densities upwards of 40kW per rack, when using liquid cooling. “Our enterprise and cloud customers have capacity and speed to market challenges in key markets like London,” said Neil Cresswell, CEO of Virtus.